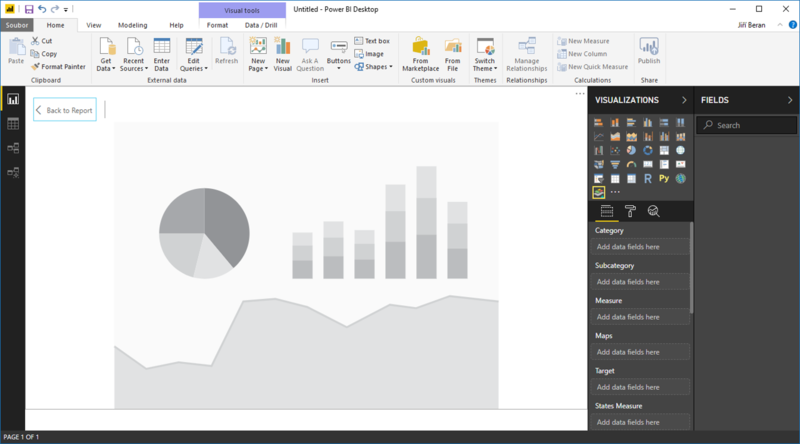 This article describes an interesting Power BI visual - Synoptic Panel. 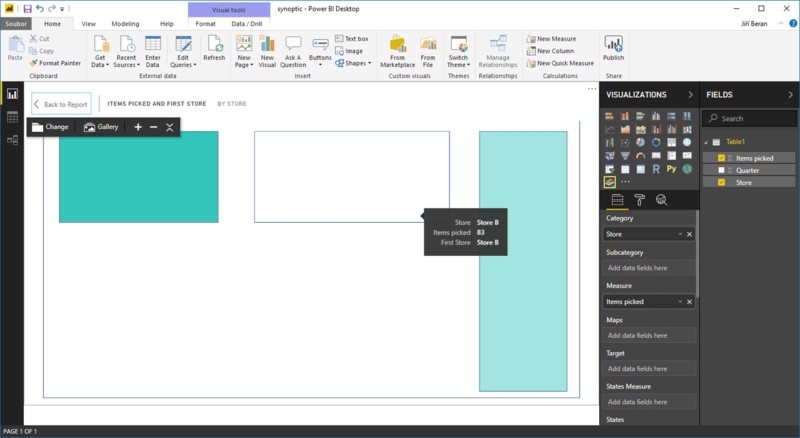 In Synoptic Panel you can draw the "map" of area (production line, store...) and use your data to highlight different areas differently - based on your numbers. So if this was a map of store area, we can compare, how utilized were the three halls inside. To make it work you have to take these steps. 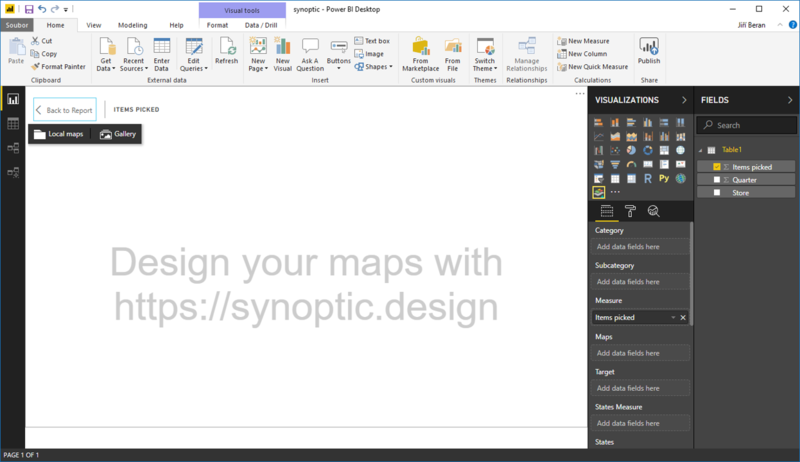 Upload the image on https://synoptic.design/. Now we have two options. Either draw new shapes on the background, or use the already created and just name them. Anyway, on the right side new areas appears - containing coordinates of their corners. It is crucial to have the same names for areas and in data tables. 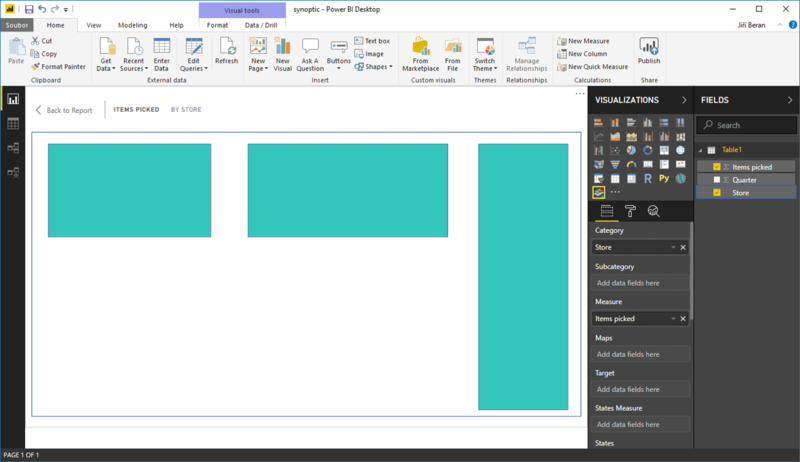 So, if it is "Store A" in Synoptic, it has to be "Store A" in tables. 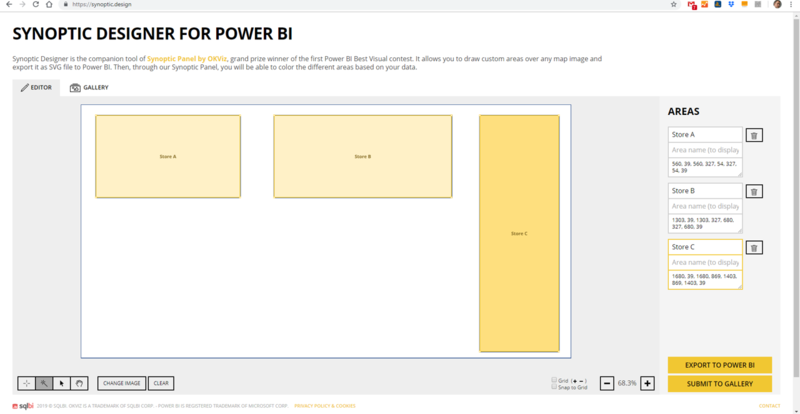 Click on Export to Power BI and download the file. 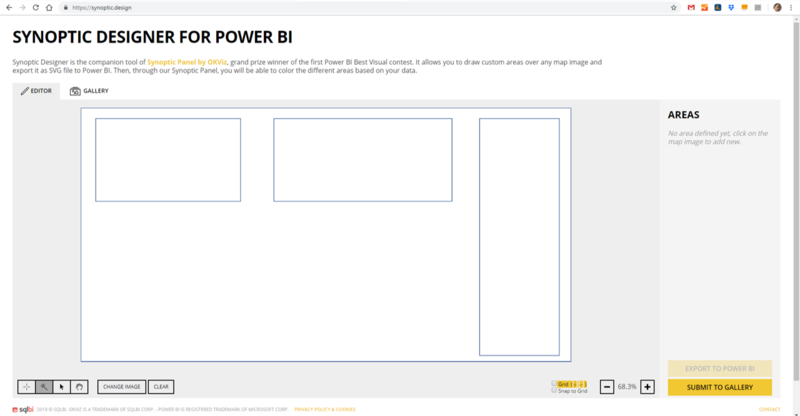 Open the Power BI. 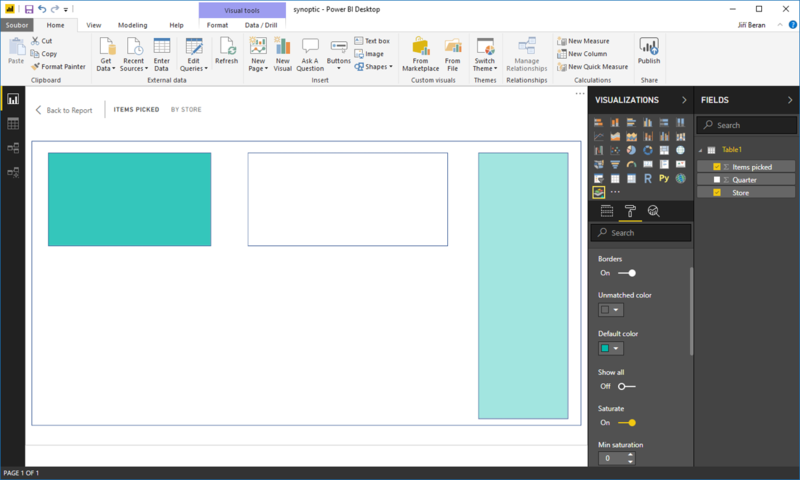 Add the Synoptic Design custom visual. Connect data. In this case containing stores, quarters and numbers of stored items. When trying to add something to "Measures", we are asked to upload the SVG file. After upload, something has to be added to Category. If the names of areas correspond to values from tables, the areas become green. What's worse, all areas have the same color - regardless the numbers. This has to be defined in "Saturate" in "Format". From know we can compare, how the store halls were utilized.